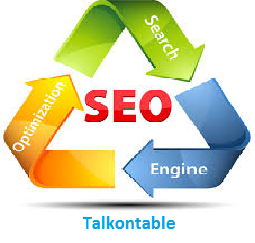 SEO is basically the process of taking a particular website to a higher ranking. SEO further comprises of strategies and techniques that assist in taking a website to a better ranking. Over the time, SEO tactics evolved and changed. In older times, the most common strategy was identifying and inserting relevant keywords. The majority of traffic was assured by 5 or 10 related keywords. With changing time, SEO became more challenging. Recent options like natural language search and voice search using tools like Siri and Google now made keywords search less convenient. To cope with dynamic and every day developing SEO evolved with its techniques and strategies. All those tactics, techniques and strategies can be further branched to three major classifications, namely, white hat SEO, gray hat SEO and black hat SEO. The white hat SEO concentrates on bringing the traffic and improving the ranking through ethical ways. The gray hat SEO, however, is debatable if the techniques used are ethical or not. The Black hat SEO doesn't adhere to any of the search engine guidelines. Black hat SEO is for those who seek an expeditious return on their website. Black hat SEO is usually not seen as a good option for a long term investment on a website. Black hat SEO targets only search engines. It doesn't focus on human audience. It should also be noted that using black hat SEO comes with severe consequences. If a website is found to be using such techniques, the website will get banned. Basically, black hat SEO is an effort to outsmart search engines and reel in organic traffic. It is done without following any rules. There are techniques that are used as common black hat practice to manipulate search engines such as Google. Here is a list of some popular techniques. The main purpose of spam comments is to create free backlinks. There are tools that automatically post spam comments across the web. Purchasing of links allows the buyer to not be bothered about the content. Secondly, the buyer can choose the anchor text, which is a prominent factor for Google ranking. Since these two advantages can effectively manipulate search engine rankings, this tactic is a black hat technique. Article spinning is gaining popularity very fast. There are tools online, both free and paid, that spins the article. This technique reduces the risk of being detected by any plagiarism tool. Cloaking is the search engine tactic that shows different content or URL to the search engine spider than to the user. This technique is a clear violation of guidelines of Google webmaster. Moreover, it serves users with irrelevant search results. Black hat SEO techniques can end up banning the website from search engines like Google. However, black hat SEO often ensures short-term financial gains but at the same time is very risky. The penalties for using such techniques are getting updated day by day. If the purpose is to build a long term business then black hat SEO is clearly not the best option.